Can anyone point me to a clear picture the gas tank vent/tube system inside of the trunk? I have to cut the hole and install mine and would like to have some measurements if possible. I think the convertible location is somewhat different than the hardtop? Any help would be appreciated. Why would the location be different? Here is a picture of the vent location from my 71 Challenger. 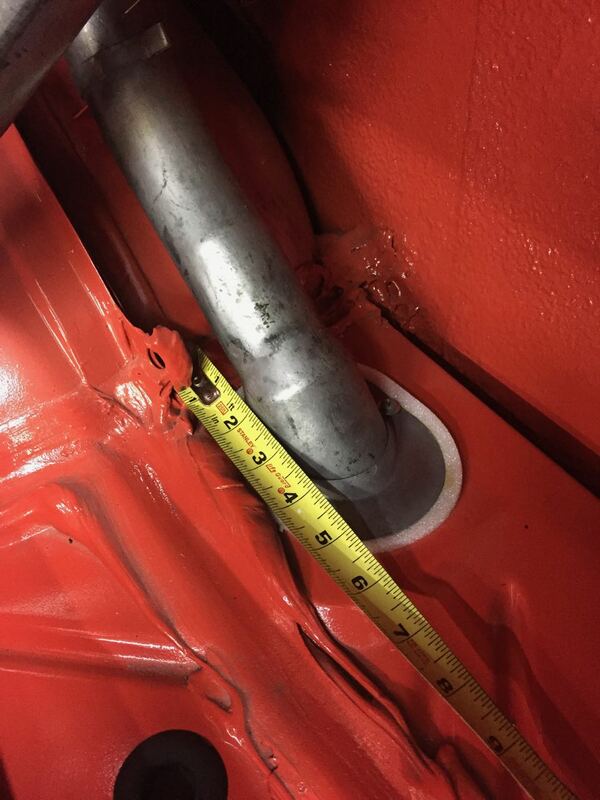 Your vent tube will be different if it's a 70 non-California car, but the location remains the same. Yep the hole is the same for H/T and Verts. The 70 vent lines themselves are different between H/T and vert though. 71 RR A/G 4-sp Dana, 72 SSP 440, 72 Dart 5.9 4-spd, 97 DAKOTA, amoung others. Thanks for the pics and info, I cut the hole and installed it today..came out perfect.